There’s no better time than Memorial Day weekend to visit Branson, where live shows, great attractions and special events offer a memorable way to usher in the unofficial start of summer. Dust off your golf clubs, and head to one of the many world-class golf facilities located in Branson. Several courses incorporate natural rock outcroppings, waterfalls, creeks and wooded areas into their design features. Not a pro on the green? No problem! Branson has courses for all skill levels. No trip to Branson is complete without seeing a show! 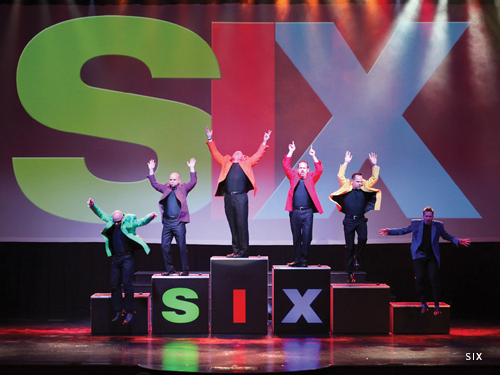 Enjoy favorites like SIX, Legends in Concert, the Hughes Music Show, Presleys' Country Jubilee and many more! Enjoy a scenic golf cart ride at the Lost Canyon Cave and Nature Trail, part of the stunning Top of the Rock complex just 10 minutes south of downtown Branson. The two-and-a-half-mile ride showcases beautiful cave formations and a waterfall. 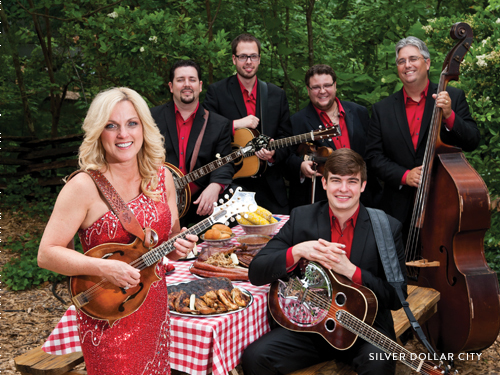 Visit one of Branson’s most popular attractions, Silver Dollar City, for its Bluegrass & BBQ Festival, which wraps up over Memorial Day weekend. As you might guess, this event features loads of great barbecue, plus fantastic live music and bluegrass bands. Zip across Lake Taneycomo with a ride on Parakeet Pete’s Waterfront Zipline. Start at Branson Landing, and then zip up toward Mount Branson for a great view of the city and lake below. Zip back down to your starting spot, where you’re just steps from great shopping and dining options. When you’re ready to leave the ground again, don’t miss Parakeet Pete’s Steampunk Balloon! Take a relaxing ride up the hot-air balloon structure and see Branson from a new perspective, while enjoying the 360-degree view, high above the city. On May 25 at 6:30 p.m., the Branson Landing’s Summer Concert Series will kick off Memorial Day weekend festivities. Rosy Hips and Members Only will give you a show you won’t forget. Arrive early and experience the Pre-Concert Glitz & Glam Fashion Show at 6:15 p.m.
May 25 is White Water's opening day for 2019, which is sure to be another year full of water adventures and summer fun. From towering water slides and mat races, to lazy rivers and a wave pool, there are plenty of activities for hours of entertainment! Shop the special deals happening at the Tanger Outlets' Memorial Day Weekend Sidewalk Sale, and enjoy novelty food items from local food trucks at the shopping center's Memorial Day Block Party happening May 25-27. Face painting, inflatables, games, a selfie station, live music and more will all be part of the block party. Enjoy stunning firework displays on Table Rock Lake at Big Cedar Lodge and Chateau on the Lake, Resort, Spa & Convention Center to cap off your Memorial Day weekend in Branson! Outdoor adventures, world-class entertainment and summer festivals make Branson the perfect summer destination. Start planning your trip here today!